It’s not an unusual story – pedestrians look in shop windows; rarely at what’s above, however beautiful. This goes for North Street too but take the trouble to look above La Tasca and you won’t be disappointed. The Grade II Listed Princes House was built in 1935-6 to the designs of Harry Stuart Goodhart-Rendel, an English architect, writer and musician. It was originally the head office for the Brighton & Sussex Equitable Permanent Benefit Building Society (which later became the Alliance and then the Alliance & Leicester). The brick-clad steel-framed building is and features bright blue mosaics in geometric patterns. The current layout of thirty flats and two penthouses is the result of a considered conversion by the Baron Homes Corporation. The redevelopment was quite a job and involved replacing steel-framed Crittall windows on a like-for-like basis. Furze Croft on Furze Hill in Hove – a steel-framed brick-clad building from the same period – went through a similar replacement process fairly recently too with equally impressive results. 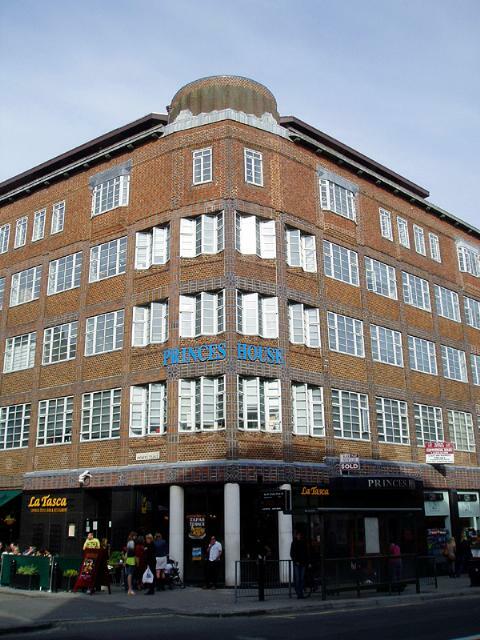 I first learnt about Princes House’s penthouses when one of them was put up for security during the well-publicised Crawley Town Football Club legal battle. The penthouse owner and football club co-owner, Azwar Majeed, is no stranger to trouble. Previous form includes selling alcopops to kids in his off licences, dodging rent, assaulting a teenager, avoiding tax and skipping community service. His penthouse sat on the market for some time at £1.4 million but it wasn’t long before a more appropriate home was found for him – prison. The spacious three-bedroom penthouse is now providing Mike Holland and, more importantly, his design-minded partner, Kate McKenzie, with a blank canvass. The Versace floor tiles – neutral and far from the gaudy unnecessary extras that I imagined them to be – will be staying. The lap-dancing pole and stereo wall are long gone though! The transformation will take time but will be exciting. The octagonal kitchen, in particular, presents a challenge but that’s enough of the interior for it’s the outside space that really makes this a ‘penthouse’. 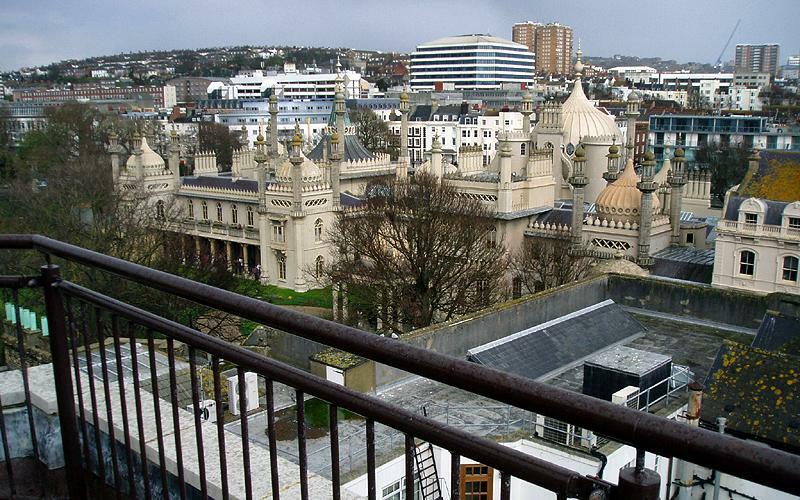 From the two balconies, it’s possible to see the Downs, the Clock Tower, the Theatre Royal, St. Bartholomew’s Church, Brighton Station and, quite amazingly, the Royal Pavilion and its beautiful grounds. Kate, an interior designer working from Middle Temple in London, envisages a 1930s Hollywood glamour style. This means ebony, sycamore, satin, velvet and black lacquer. Now that’s something to look up to.